In this episode of the Ludus Novus podcast, I present a new game, “Countdown,” in spoken word form. Trigger warning for self-injury. but here, in this circle, they are real. Of course, this membrane is porous. The game isn’t the same if the world changes. And games can change your world. But the magic circle creates a promise of escape. At any time, you can step outside the circle. At any time, you can make this stop. The music for this episode is “Third Moment – A Road Through the Forest” from Three Moments by Darrell Burgan. It’s available under a ccby3.0 license. Any feedback is welcome in the comments. If you don’t follow our posts over at Future Proof Games, we released a free little tabletop roleplaying game earlier this month. “Awaiting the End” is a GM-less story-focused game for as few as three people where you play people trapped in a Place awaiting a Doom and you tell stories about how you got there. It requires minimal preparation and the rules fit on a tri-fold pamphlet. If you’d like to get the game for free and read some more about the making of it, check out the release post on the Future Proof Games blog. If you’d like to give us a bit of money, it’s available as Pay-What-You-Want on DriveThruRPG.com. Melissa Avery-Weir and I have created a company called Future Proof Games, and we’re almost ready to release our first commercial game, Ossuary. We’ve decided on a release date: November 27th, this Wednesday. 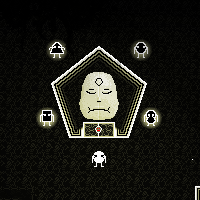 Ossuary will be available for $5, with the ability for you to pay more for it if you’d like! 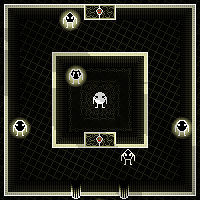 Click on the image above to see a trailer for Future Proof Games’s upcoming project: Ossuary. In honor of Halloween, here is a new game: “The Whispering Thing,” released by Future Proof Games, the company I’ve started with Melissa Avery-Weir. Triggers: suicide, bullying, impostor complex, etymology, cannibalism. Lynn stands on the edge of the roof, the back of her heels over nothing but air. The whispering thing slowly creeps toward her, its voice lost in the wind. Lights glitter below. She loses her balance and falls backward. Today did not turn out how she expected it to. “The Whispering Thing” is a hypertext horror game created with Twine. You can play it at Future Proof Games. 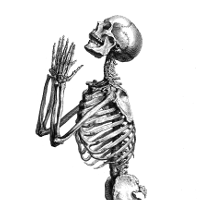 Future Proof Games is still in its infancy, but we’re preparing to put out our first big work: Ossuary.